if you have missed the previous PUBG tournament, then please don’t forget to participate in PUBG Mobile India Series 2019 this time to get huge price money as well some amazing rewards. 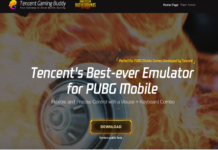 The Tencent team has officially announced the PUBG Mobile India Series 2019 is the second big tournament for Indian players after the ‘Campus Championship’ with the huge prize pool ₹ 1 Crore. 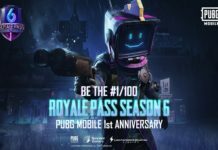 So, if you have missed the previous PUBG tournament, then please don’t forget to participate in PUBG Mobile India Series 2019 this time to get huge price money as well some amazing rewards. 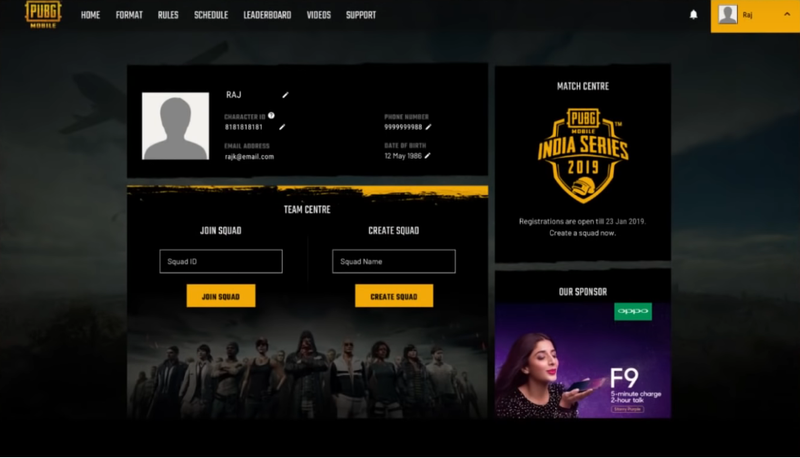 While the last PUBG tournament was only for college and university students, but here’s the registration of PUBG Mobile India Series 2019 open for all. 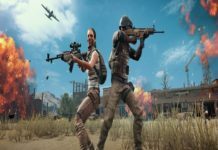 The great this about this PUBG Mobile India Series is there is no need to submit any kind of fees to register for PUBG Mobile India Series 2019. 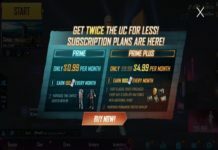 So, if you want to join PUBG Mobile India Series 2019, then here we have explained full procedure to join PUBG Mobile India Series 2019, PUBG Mobile India Series 2019 schedule, opening-closing date, PUBG Mobile India Series 2019 result date, PUBG Mobile India Series 2019 finals, price, rewards, rules and everything you need to know before participating in India’s big PUBG Mobile India Series tournament. 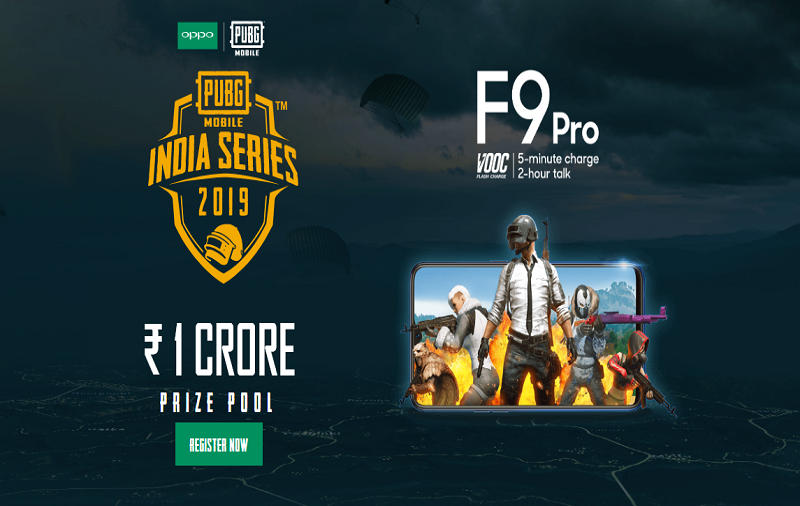 Note: Before head over to the process of joining PUBG Mobile India Series 2019, make sure that you have reached at least Level 20 to qualify for this tournament. 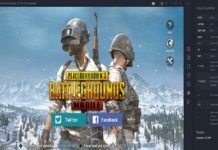 And also, make sure that have the latest version of PUBG Mobile. 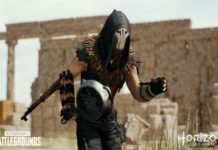 The PUBG Mobile India Series 2019 joining will run from January 9 to January 23. 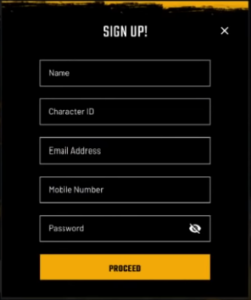 Step #1: First of all, go to the official http://www.pubgmobile.in registration page. Step #2: Next, either you can click the right top button with “Register Now” green color button at the left bottom corner. Step #3: Now you will get the Signup form. So, just fill the details and click “Proceed”. Step #4: Once you click the “Proceed” button, you will a pop that says you will need to open your email to verify. Step #5: Once you have done the verification task, you will get a screen with your detail and get the option to “Join Squid” or “Create Squid”. Note: Keep it in your mind that squid must have 4 members. Step #6: If you want to join the squid then you will need to enter the squid ID and tap the “Join Squid” button. And after that, you will be added to the squid as soon as the captain accepts your request. You can also create your own squid by entering the Squid name and then tap on “Create Squid”. 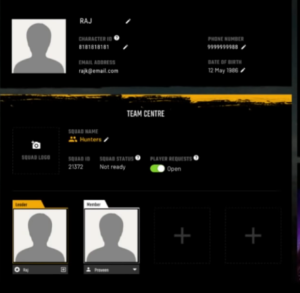 Once you have created your squid, you can also invite other players to your squid by your squid ID by taping on the new “plus” icon next to your profile. 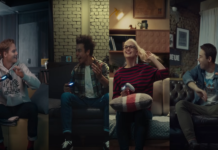 Once your squad has 4 members, you are ready to battle. Let’s start the match. 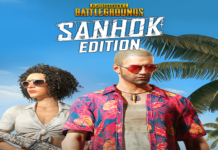 Here’s everything you need know about what’s next and how much in-game qualifier, online playoffs, and the grand finale. 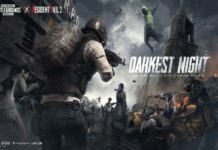 Once your squad of 4 members is ready, you will need to play 15 Classic mode matches in Erangel with your registered India Series squad. 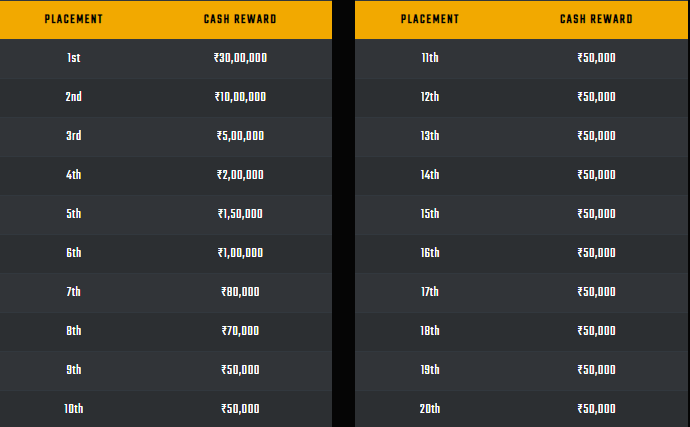 Out of the first 15 matches, your best 10 matches will be considered towards the final result. 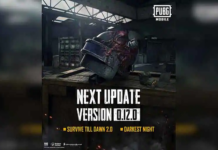 The result is based on kills and finishing position – if there is a tie, other parameters like Survival time, accuracy etc., will be considered. 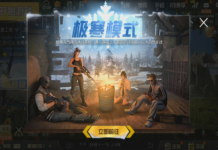 Remember, In-game Qualifier is only for 7 days from Jan 21 to Jan 27 and matches played only during this period will be considered. 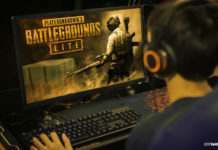 Make sure you play 15 matches with your registered squad as soon as it opens on 21st Jan.
Online Play-Offs will be played across 3 rounds from Feb 10 to Feb 24. 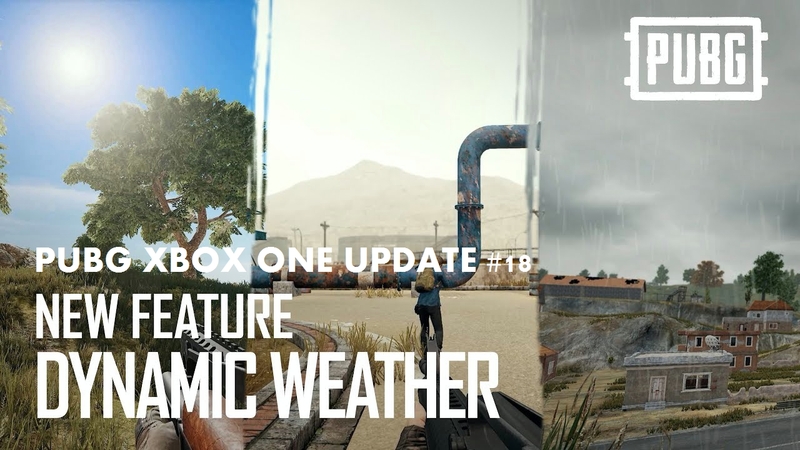 We’ll describe each of these rounds to you in a bit of detail. 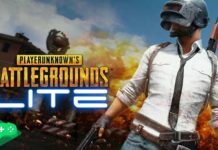 In Round 1, the Top 2000 Squads are seeded into 100 groups with each group consisting of 20 squads. All these groups will play in Best Of 1, position based knockout match. The top 4 squads from each group will move on to Round 2. 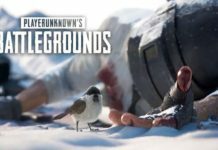 In Round 2, the top 400 squads from Round 1 will be seeded into 20 groups again, with each group consisting of 20 squads. These 400 squads play in a Best Of 1, position based knockout match. Once again, the top 4 squads from each group move on to Round 3. 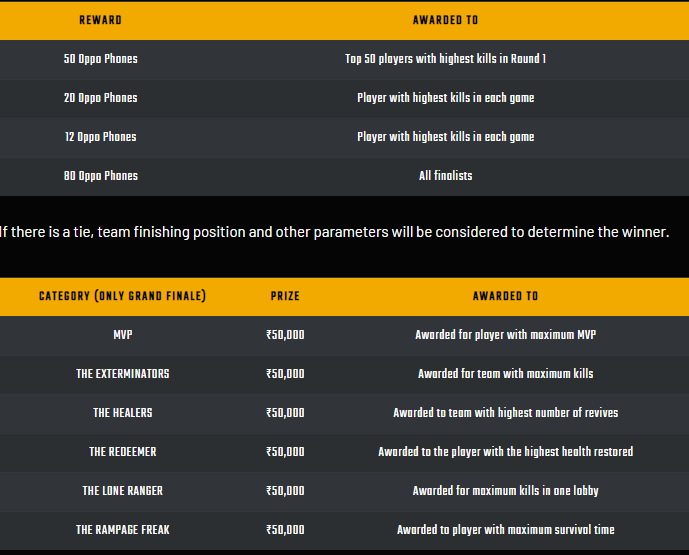 In Round 3, the top 80 squads from Round 2 will be seeded into 4 groups, each consisting of 20 squads. These 80 squads will play Best Of 3 points-based knockout matches. The top 5 squads from each group will move on to the much- awaited grand finale. Top 20 Teams from Online Play-Offs move to the Grand Finale. Grand Finale will happen in March. Exact dates and other details about the Grand Finale will be announced soon. Watch this space for further info. 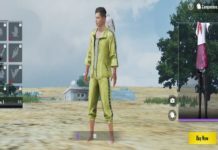 There is also PUBG MOBILE OPPO F9 Pro Giveaway announced for Indian PUBG MOBILE India Community to win free OPPO F9 PRO phones. So, you will just need to Subscribe, follow and like us on our social pages and 25 lucky winners will walk away with the top-of-the-line OPPO F9 PRO phones. 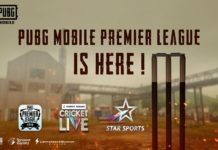 Hope you have registered in PUBG Mobile India Series 2019. 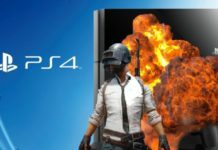 So, just start practicing now to get the best price on this PUBG Mobile India Series 2019 tournament.